South Africa's Caster Semenya streets the field to win the 1500m on Tuesday night. 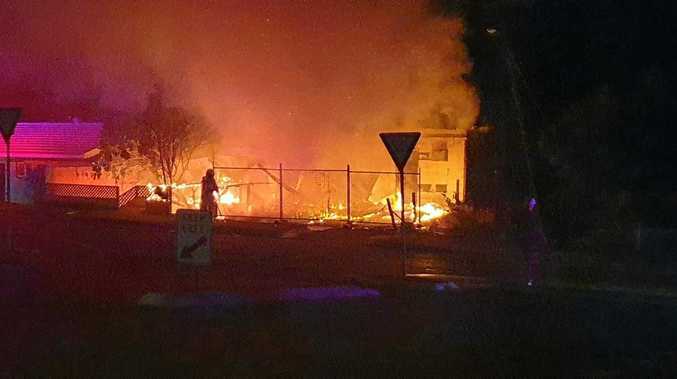 CONTROVERSIAL track star Caster Semenya has sealed the first of her planned two Commonwealth Games gold medals, charging home to win the 1500m by a stunning 15m on Tuesday night. Although a 1500m bronze medallist at last year's world titles, the event is a relatively new one for Semenya, a dual Olympic 800m gold medallist, but she notched a Games record and South African record time of 4min00.74sec. Semenya was warmly received by the Carrara Stadium crowd when introduced before the 1500m final and made a point of embracing and congratulating all her rivals after it. In between, Semenya won as she liked, settling three wide and racing past Australian Linden Hall into second place with 200m to go. The red-hot favourite for Friday night's 800m left Kenyan runner-up Beatrice Chepkoech (4:03.09) without a prayer. 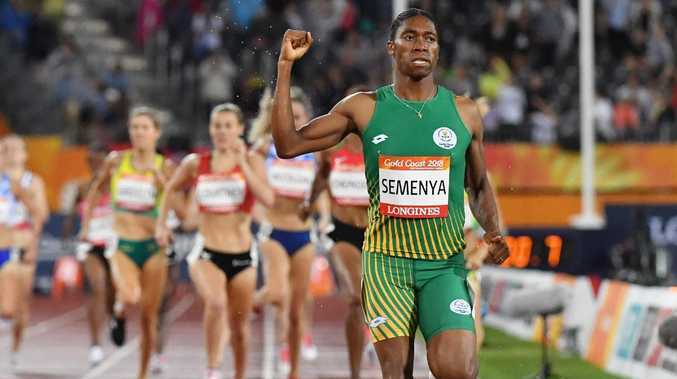 For the time being, the South African was able to forget how IAAF council members last month approved a hyperandrogenism policy which it wants to take effect in November. The Court of Arbitration for Sport gave world athletics governing body, the IAAF, until July to explain how it intends to implement its regulations regarding intersex athletes. Melissa Courtney, of Wales, took third place in 4:03.44 to deny fourth placegetter Hall (4:03.67) a medal. Australian 21-year-old Georgia Griffith enhanced her reputation with a fifth place in a personal-best 4:04.17. 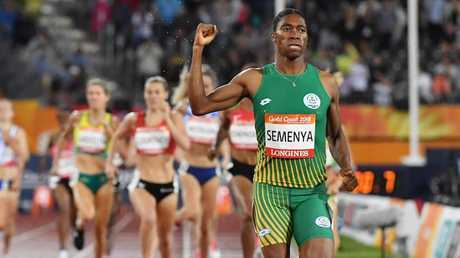 Semenya, 27, is bidding to become the third woman to win Commonwealth Games gold medals in the 800m and 1500m in the same year. The runners were poised for the gun when they were told to wait because of rain affecting technical equipment, with the delay extending to 10 minutes. Semenya did not take the opportunity to have some run-throughs down the straight while they waited for the starter to reassemble them.